Our Data Warehouse Specialist in Asia. 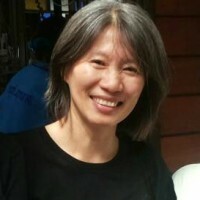 She is a professor for Business Information Systems at the Sukothai Thammatirat Open University in Bangkok, Thailand. She is one of our Microsoft BI experts. Her research interest is on the didactics of teaching Business Intelligence. She has a strong knowledge on Microsoft SQL Server Business Intelligence.